It looks like Black Fawn Films is up to their old tricks again. The Canadian brain trust behind The Heretic, Bite, Bed of the Dead, and a slew of other horror nasties is back with the first trailer for I’ll Take Your Dead from director Chad Archibald. It’s a bit of a different flavor, but still looks rad. Check it out below. I’ll Take Your Dead looks to be much more grounded than some of Black Fawn’s other titles, though I’m feeling this gang-thriller-meets-supernatural-horror thing they have going on. It looks like a grim crime narrative with a wisp of ghostliness thrown in for good measure and I’m way down. 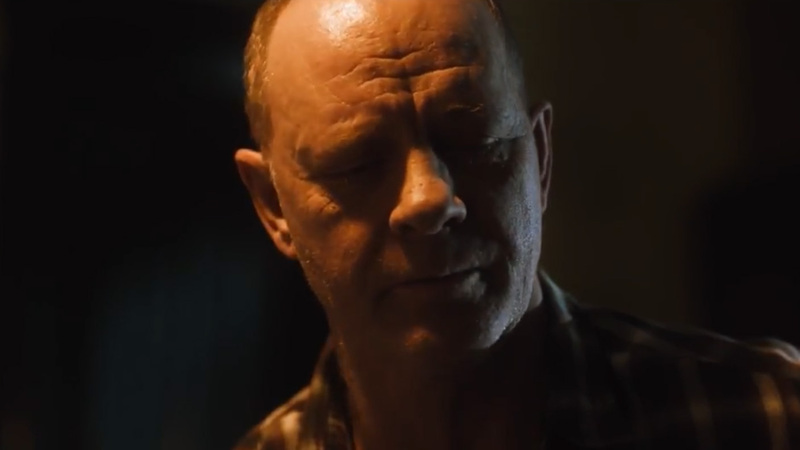 I can't help but think "angry Sixth Sense" watching this trailer. William has a simple job: he makes dead bodies disappear. Through circumstances out of his control, his little farm house in the country has become a dumping ground for the casualties of the gang related murders in the nearby city. His daughter Gloria has become used to the rough looking men dropping off corpses and is even convinced that some of them haunt their house. After a woman’s body is dumped at the house, William begins his meticulous process when he realizes that she’s not actually dead. As the gang activity increases, William patches up the woman and holds her against her will until he can figure out what to do with her. As they begin to develop an unusual respect for each other, the woman’s murderers get word that she’s still alive and make a plan to finish what they started. I’ll Take Your Dead stars Aiden Devine (A History of Violence), Ava Preston (Shazam! ), Ari Millen (Orphan Black), Jess Salgueiro (the upcoming adaptation of The Boys), and Brandon McKnight (The Shape of Water). It’s slated to premiere at the Calgary International Film Festival on September 27, and it also has screenings lined up at horror-centric fests in Germany, the U.K., and Spain.